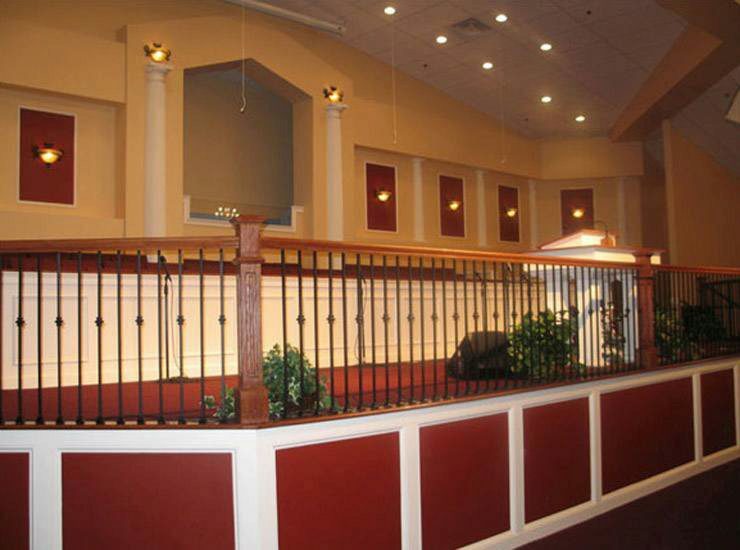 Whether it’s to protect the pulpit or keep the preacher from falling off the stage, StairSupplies™ delivers in style. This features a simple baluster series with elegant recessed panel w/ cove box newels. It is a very traditional style that will be sure to please everybody. Click here to view your full Box Newel offering.